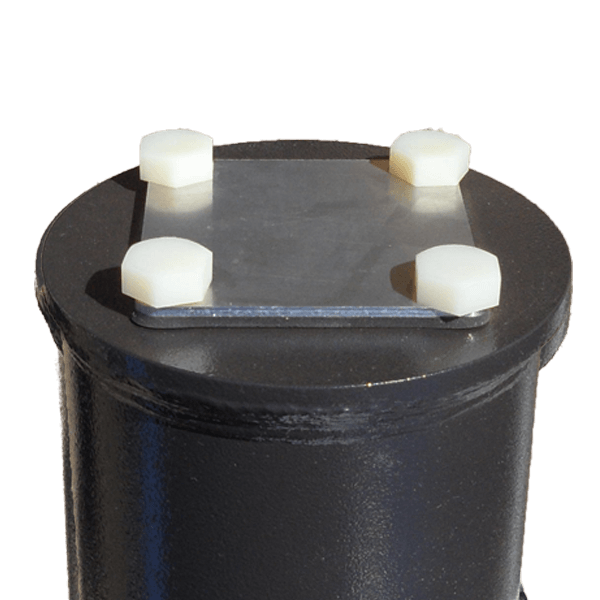 The most rigid and steady camera poles we have ever Manufactured, and this model has two handholes. 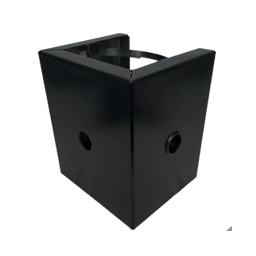 The top handhole (5′ down from the top), has a Wraparound Camera Platform positioned around the handhole, which makes it easy to use a gland for wire ingress/egress thru the handhole cover. Thus, there are no additional holes drilled into the pole itself. Makes installation easier and faster because the handhole gives you much more room to make connections. The newest Generation of ultra-steady camera poles from Strong Poles, are the SteadyMax Series of round and tapered camera poles. These poles are engineered to withstand up to 190mph winds with a full load of cameras, cabinets and sensors – yet are limited to 3% of movement under those conditions. This pole is a normal SteadyMax 25′ pole, we have simply added another handhole 5′ down from the top to complement the included Wraparound Camera Platform. 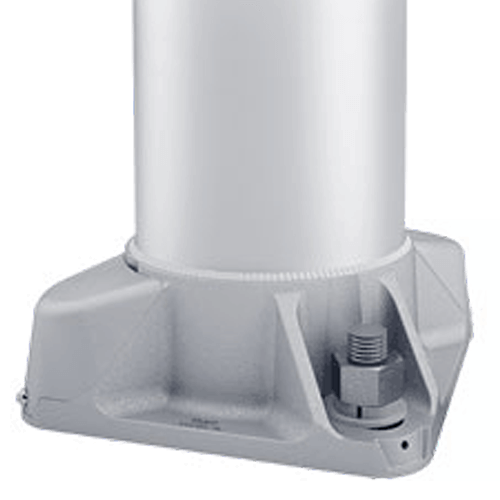 These engineered camera poles also have a Factory-Installed Vibration Suppression System (Read More) that consists of two different frequency dampeners that quell high and low frequency vibrations and oscillations that may occur during the life of the pole. The result is the Steadiest, most rigid pole we have ever built, yet is very lightweight (our 25′ pole weighs only 155 lbs.). This is an amazing Engineering feat to make a pole this steady, yet this lightweight. 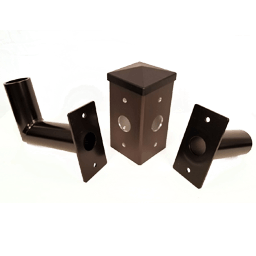 It comes with our exclusive 20 Year Warranty, and includes the anchor bolts and anchor template. 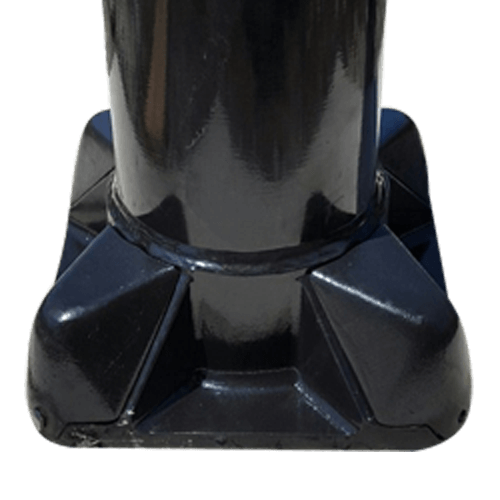 The 25′ SteadyMax Camera Pole is tapered from approximately 8” O.D. At the bottom, to 6” O.D. At the top of the pole where the attachment plate is. 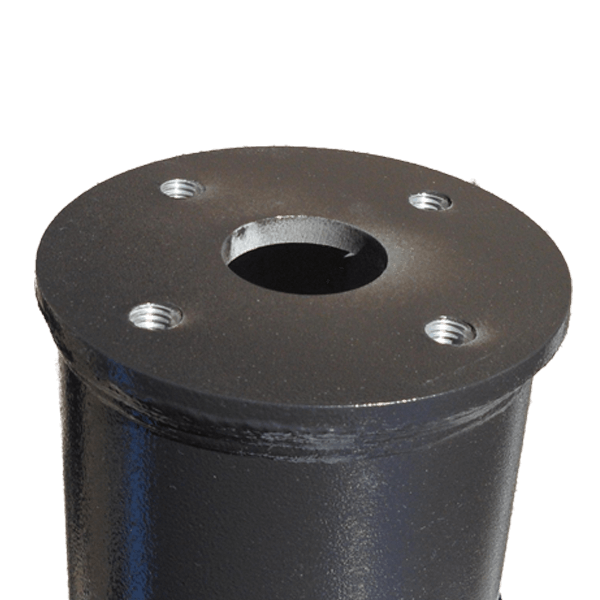 This pole is a Ultra Heavy Wall (.250 thick – 1/4”) aluminum tapered round pole using 6063-T6 Aluminum, and can be ordered in our usual White or Black (Dark Bronze) Powder Coat finishes. These SteadyMax Poles are Manufactured in the USA, and are in stock and ready to ship! See our drawings and Specs for more information. 1. 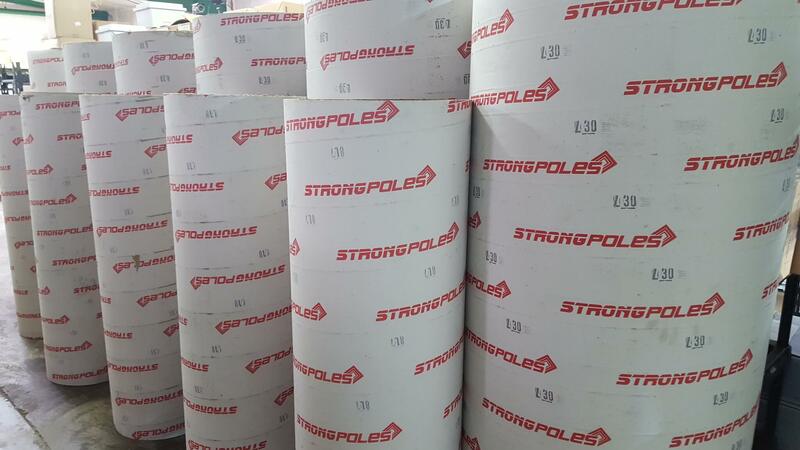 Strong Poles recommends leveling shims in lieu of leveling nuts. No grouting is required with leveling shims. with top cover when no accessories are used.